For a simple guide to your business waste duty of care, see the Duty of Care Compliance - Right Waste, Right Place website. You can look up SIC codes for your Duty of Care waste transfer note here. Alternatively you can place an order for delivery by calling 01524 582415 or 582416. A delivery charge applies for orders of 50 of either type. For orders of more than 50 delivery is free. We offer a comprehensive, reliable mixed recyclables collection service within the district. This includes cardboard, plastic bottles, plastic film and bags, bubble wrap, waste paper, newspaper, magazines, books with covers removed, tins and cans. Glass bottles and jars can be collected from Eurobin containers only - we cannot collect glass in sacks. Collection is available in most locations throughout the district. 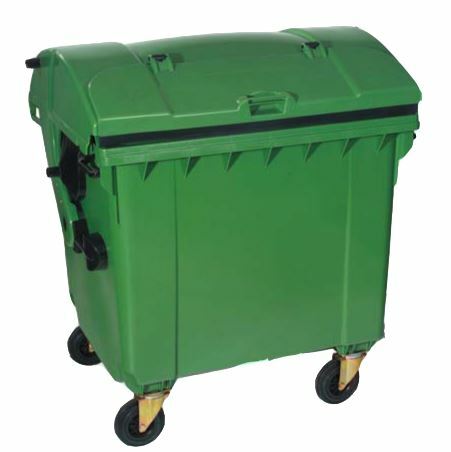 A full range of Eurobin containers can be offered from 360 litres to 1280 litres. For smaller businesses and those with less space, recycling labels can be used for cardboard, and clear recycling sacks for mixed recyclables. Recycling labels can also be used for plastic film/bags/bubble wrap, which should be squashed and bundled. Cages that are owned by business (not provided by the council) should be flat packed with cardboard. A Eurobin container means that rubbish does not need to be left on the floor. This creates a better impression for your customers and allows you to fulfil your duty of care obligations. Most containers have a close fitting hinged lid that can be securely locked to keep smells in and vermin out.